2 February 2004 Here is a quote from an email received in 1999 from Krister in Sweden: "I am 24 years old and a university student. 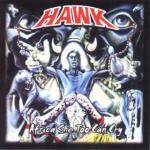 When I was about 6 or 7 or so I got hold of this fantastic album, Jo'burg Hawk's 'Africa she too can cry' from 1973. This has haunted me thru the years and I find it an all time great. I suppose that the chance that their album ever got out on CD are minimal. That's unfortunate since my only vinyl is really torn down and scratchy." OK, Krister, your wish (and that of many others) has been granted. At last this classic album from the 70's has been re-released on CD. This album has actually been released in 3 different versions; the first was in 1972 a year or so after the phenomenal 'African Day' album. In 1973 'Africa She Too Was Cry' was released in the UK (and Europe) by the Charisma label (home of Genesis at the time) with a revised track listing and credited to JoBurg Hawk. In the late 90's an unofficial CD with the same title was released by the Japanese Never Land label. Despite the fact that this was a pirate CD, it was also more of a compilation than a re-issue, as it featured tracks from all 3 Hawk albums. After much deliberation and discussion (and lack of master recordings) Benjy Mudie of Fresh Music decided to release the UK version of 'Africa She Too Can Cry' with bonus tracks culled from some singles-only releases and the elusive 'Live And Well' album, which was not actually a "live" recording, despite its title. The 'African Day Suite' is a re-recorded and extended version of the side-long epic which originally appeared on 'African Day'. It tells the story, in spoken words, lyrics and music, of a rampaging elephant that threatens to destroy a tribal village and has to be killed. The fact that the censors missed the analogy to the oppressive apartheid regime at the time is amazing. Freedom's Children's Ramsay Mackay wrote a major portion of the material for this album, and though he did not play on it, his influence is strongly felt. Mackay's compatriot in Freedom's, Julian Laxton, was a Hawk member by this time and his guitar work here is subdued but legendary. The catchy 'Dark Side Of The Moon' song has nothing to do with the Pink Floyd classic album, and in fact was released almost a year before that album's debut. Bonus tracks include the original version of the much-covered 'Orang Outang' (Kenny Henson's Harambee, Margaret Singana, Brian Finch and more have all recorded it) which was also penned by Ramsay Mackay and released as a single in the UK in 1973. The obscure 'Kalahari Dry' song was used as part of an ad campaign for Groovy cooldrink (remember Groovy?) and released as a single in South Africa in November 1972. The original vinyl single was found lurking in Tertius Louw's extensive collection and digitally transferred by him for this CD re-issue. The Chicago-meets-Osibisa styled 'Mumbo Jumbo' is another Ramsay Mackay composition which deserves wider exposure. The closing track of this CD re-issue is the beautiful ballad 'In My Youth' (from 'Live And Well') which sounds like it could have been written for the stageshow 'Hair'. Audrey Moutaung's voice soars on this one and is then balanced by the earthy tones of Ornellas. Excellent and detailed sleeve notes are provided by Raymond Joseph including recent interviews with vocalist Dave Ornellas and guitarist Julian Laxton. This is truly an album of Africa and a must-have for every music fans collection. 19 January 2004 On the Pretoria Showgrounds the reigning Oppikoppi vibe evaporated quickly. Nothing was like Northam - this is the city, man. You won't find a speck of dust or thorns in your underwear. On the Skelm Stage they showed us they ain't scared of no tokoloshe. Mike Hardy on vocals, Schalk van der Merwe on bass and vocals, Tim Rankin on drums and some possessed dude called Dave van der Linden doing things to a guitar that would have made Marilyn Manson blush. Yeah. I kid you not. This man is insane. And once you've seen him live, you'll appreciate the debut CD without end. Two songs stood out without even trying too hard. "War" with its reggae beat and laid-back but unnerving anti-war vibe, and that manic percussed "Dummachicabopachica". You can't help it. You put the beer down and go get down in front of the stage. And the rest was . well ummm-errr . the rest of the set was dangerously wicked. Sharp and borderline vitriolic lyrics, all put together to get your brain into thinking gear. And it was easy to see. A quiet confidence blending guitars, voices and drums into a hybrid sound of funky jazz, rock and freshly peppered vocals - with the occasional guttural dark bass streaks. "Humanarium" cannot be tolerated by the lazy or the lethargic masses. Bed On Bricks wants to talk to you. And at the same time churn your soul with some of the best tunes and thoughts offered in a long time. "If you scratch between all the torn and strife that is basted on our everyday, and influential in every way, as long as our minds are free - don't forget simplicity..." in "Hide" is but one of the corners where Bed On Bricks puts you to chill for a bit. But beware. The strings in this song will muck with you. It's unlike anything you've ever heard. Strong and slick, but very dark, revved to the max, thickly vibrating like some fat arachnid on its web. "What You Got" opens the CD and from there on you just slip into the groove without losing a beat. "Have you ever taken a little time out to think, what if you were 10 years old and your family lives to drink ..." only gets balanced by the catchy "I know-I know-I know-I know-I know-I know-I know what you GOT!". 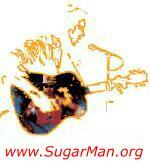 You will get a taste of Dave's guitar virtuosity. Oh yeah. You will. Then, when you get to "Humanarium", anything goes. "Today I saw a man selling a goldfish in a plastic bag, on the corner of Upper Orange Street - how strange I thought it must be for these two lifelong friends - like being in a large humanarium." You get to meet a large Nigerian, plastic dolphins, and a bank manager with a fake smile. And some "wire chickens to feed at night when you're stoned and lonely." "City" and "Low Fly" offer a breezy trip (with rubber soles on yer shoes) into personal reflection and the heart of the social city. "Still I smile and enjoy my wine" walks right next to "Feeling sorry for yourself is not going to get you off your shelf." "Low Fly" oozes luscious and succulent colours without names, it picks up speed with every beat, but it corners on rails. Smooth. Very smooth. Your individuality will establish your response on "Flight Of The Panda Bear", "Blame", "Hold Me Down", "Eyes" and "Friends". Not once does the standard slip. 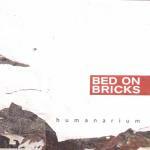 Bed On Bricks impeccably portrays the cleverly disguised angst-filled mind of the loner, but this band is equally competent in showing how bloody great it is to be alive. And to play in a band called Bed On Bricks. "You've been working too hard, take it slow, kick off your shoes, come eat in my pad, even though the food is crap and looks nothing like the ad." Get your aura into that humanarium. 12 January 2004 Possibly the best Boo! album so far. That's not to say their previous works are slouches in the tutu department, but here they sound like they gave their musical direction some thought, met with Brian O'Shea who helped them in some way, went through some changes, and came up with a more polished, but no less Boo!-ful, album. TNTLC is still Boo! music all the way through. Anyone modestly familiar with their music, as opposed to someone immodestly familiar, will recognise our favorite wacky trio. Chris Chameleon is always in control of his voice, Leon's drumming is varied and creative--not merely skin-slamming to move the dancers, and Ampie Omo adds all the rest: horns, percussion, keyboards, and background vocals. Some Christian references and allusions appear on this work, apparently sincere ones, too--nor are the references subtle or in passing. Another song even has some clever thoughts on free will, believe it or not. But most of the Boo! 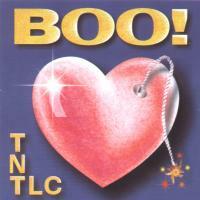 songs on TNTLC are good ole love songs, and in Boo! style they are neuter in pronoun, not neutered in dance energy. Overall: an oh-so-smoothly produced record. The vocals are the tight and controlled style Chris has been working for in all the previous albums. And in referring to their previous work, I slight them not because those previous albums are all fine works I'm glad to own, but...dare I suggest this is a more mature Boo! record? Our Boo! boys are growing up and channeling their vast energy and talent more efficiently, perhaps. v Whatever it is, if you thought you enjoyed any previous Boo! albums, you'll play this one over and over back to front, and if you thought you didn't care for Boo! this may be the start of a new relationship, knowing There's Nothing Love Can't Overcome. Copyright � 1996-2002 Amuzine . All rights reserved.